Unfortunately, not everybody is blessed with a beautiful smile. Teeth don’t always grow in a straight line and they can also become discoloured through staining or decay. In young people, misaligned teeth are a common complaint as they don’t grow quite as they should. This is a condition that will continue into adulthood if not treated. In older people, complaints more commonly tend to involve discolouration as time and wear begin to take their toll. Even once stunning smiles can start to fade as time begins to take its toll. According to many studies, a smile can affect your mood and even give the immune system a boost. The good news, though, is that there are procedures available that can help anybody gain a stunning smile. 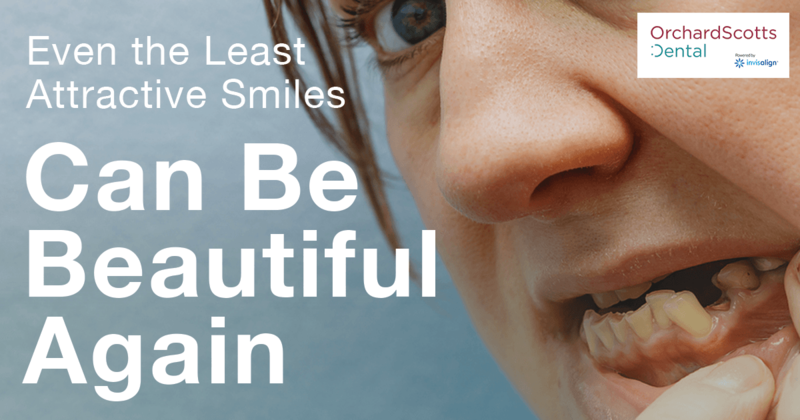 With modern procedures, even the least attractive of smiles can become beautiful again. Just have a look at what can be done for you, and you may well be pleasantly surprised. Crooked and misaligned teeth are largely a problem among younger people as their growing teeth may not grow evenly. 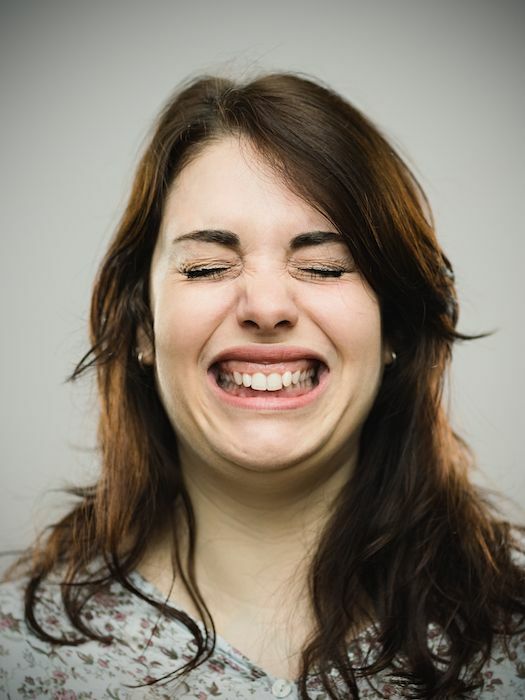 Uneven teeth can be quite unsightly, having the potential to make the person feel quite self-conscious. It can even lead to a lack of self-confidence overall in some people. Misaligned teeth can also cause difficulty in eating and may also cause pain as teeth rub and cut against the soft tissues lining the mouth. Straightening teeth will often involve aligners which will help guide the teeth into the desired position as they grow. Aligners will gently apply pressure on the teeth to help ensure they are slowly positioned as required. This method best works for young people as their teeth are still growing, although the same method can also be effective in adults. In the past, teeth aligners have been bulky and unsightly, meaning that many people have been reluctant to wear them. This was particularly problematic in young people that would be concerned about negative comments from others at school or college. Modern straighteners like Invisalign which you can get in Singapore, however, are far more discreet and are often barely noticeable at all. This means children don’t need to be concerned about other kids mocking them, and adults can have confidence in wearing them throughout the day. The latest aligners are also more effective, and more convenient, saving time spent attending appointments. Another advantage of modern clear aligners like Invisalign is that they are more hygienic than traditional types. Modern aligners are generally designed to be easy to remove. Not only does this make it easier for eating, it also means they and the teeth can be cleaned more thoroughly. Once ready, they can simply be put back in as easily as they were removed. Every single day, numerous items of food and drink will pass over our teeth. While we will usually brush away the majority, tiny particles can still begin to build up in the enamel. Over time, this can lead to teeth that are yellow or brown in colour, meaning it is time to give them a thorough cleaning. Not just any cleaning will do, though. After all, if a standard dental clean was enough, staining would not be a problem in the first place. 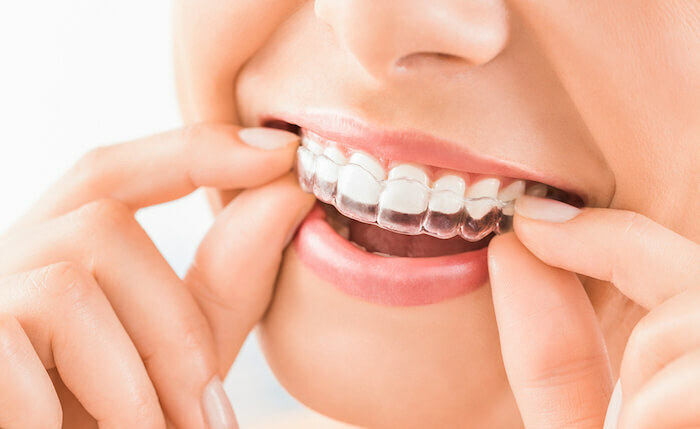 Teeth whitening services provided by a aesthetic dental clinic require techniques that are able to penetrate beneath the layer and deal with the stain particles that lay just beneath the surface. This often involves applying creams which contain certain compounds that can tackle the stains directly. These compounds will usually need to be activated by the application of an energy source, and this source of energy is usually a laser beam. Teeth whitening is one reason why lasers are becoming increasingly common in dentists’ surgeries. Sometimes, teeth are so decayed or damaged that the best thing is to have them removed altogether. This will leave potentially unsightly gaps, but the good news is that these gaps can be filled relatively easily. 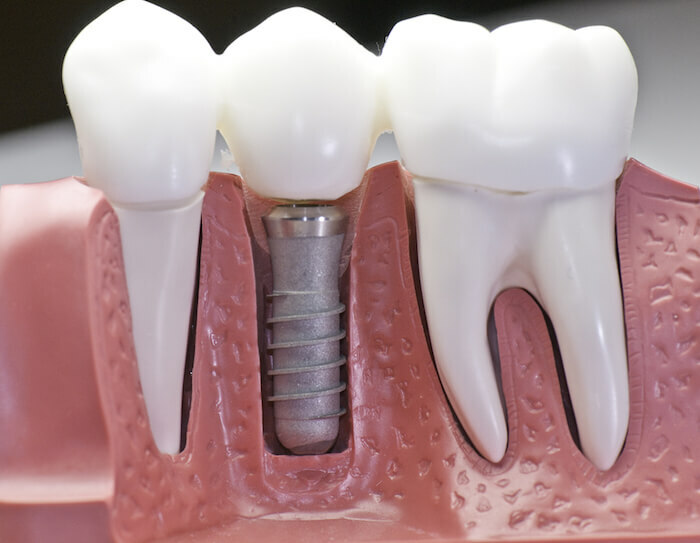 A common dental procedure is to replace lost teeth with imitation teeth, known as dental implants, in a way that the missing teeth will hardly be missed at all. The latest technologies also allow for highly detailed maps of your mouth and teeth to be made to help ensure a superb fit. While scanning technology allows for more detailed and accurate maps of the mouth, it also makes the process faster and far more convenient. Another fairly common complaint when it comes to smiles is too much gum being visible, also called “Gummy Smiles”. This is usually down to one of two common causes: Either the lips are riding too high, or there is simply a lot more gum than usual. Having too much gum on display is considered to be unattractive to many people, and even an otherwise stunning smile can be adversely affected by it. The good news is that there are procedures that can help overcome the issue. One procedure is surgery to stop the lips from riding too high. This helps to keep the gums covered, reducing their visibility when their owner smiles. An alternative is to use lasers to trim back the edge of the gums. Lasers are ideal for this procedure to fix gummy smiles as they allow for high precision surgery, making sure the finished article is naturally beautiful. Modern techniques mean that even people with the least attractive smile can once again smile with confidence. Speak with your local dentist and they will be able to inform you of the latest procedures and just what can be achieved. You might well be surprised at what can be done for you. Orchard Scotts Dental provides a range of dentistry services that help to make you smile beautiful again. Please feel free to contact us if you would like further information.